Baitcasters are for very important for anglers who want the extra control that they cannot get with a spinning reel. Good baitcasters can give you a lot more control and you can cast your lure exactly where it needs to go. If you ever watch the professional fishing tournaments, the only type of reel you mostly see is a baitcaster. In this article, I want to explore and find the best baitcasting reel for beginners and professionals. Being called one of the most popular baitcasters year after year, the Revo SX has shown to impress myself with its durability and ultimate control while fishing. I have reeled in so many bass with this fishing reel. Combined with the sturdy Vendetta rod, this combo can be sick! Buy both the rod and reel and you will have a nice setup for years to come. You are getting a very good combo for the money. This rod and reel is for both beginners and more advanced fisherman. They are both super lightweight with the alloy and carbon reel coming in at only 6.6 oz. It has 10 bearings with a 7.1:1 gear ratio and comes in both a right and left hand model. There are multiple generations of these reel and I'm amazed how they continue to reduce the weight each year. Super lightweight at 6.6 oz. The 7.0:1 gear ratio makes the KastKing a super smooth and efficient baitcaster. 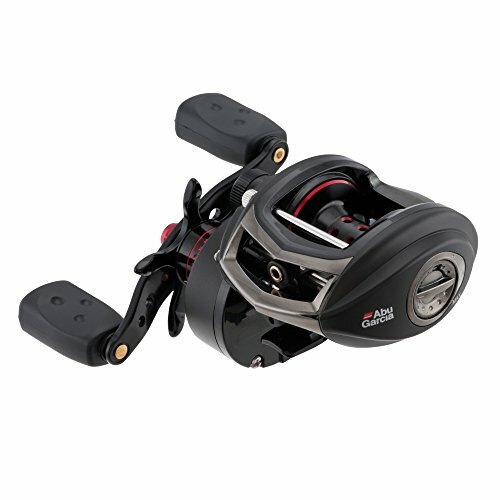 A little bit heavier than the Abu Garcia Revo SX, but you can't tell the difference at 7.5 oz. It is a much cheaper reel than others and you can definitely feel that it's not made as well as others. Plan on this one not lasting as long as other reels that are more durable. 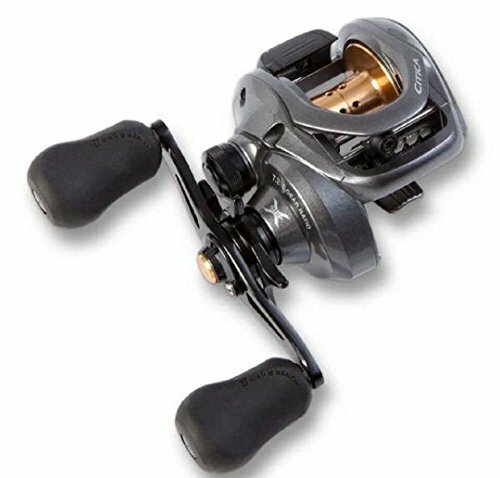 This reel has 11+1 ball bearings and super smooth reel for pitching, flipping and more. State of the art dual brakes make this baitcaster ready to go fishing right out of the box. The price point makes this a good purchase. It's an affordable reel if you are wanting to get into baitcasting like the professionals. Definitely a good reel to get for beginners before they move to a more durable reel. Fairly lightweight at 7.5 oz. Along with the Abu Garcia reels, the Shimano Curada has been producing reels for years starting with the 100 and 200 back in 1992 and has withstood the test of time. With a 7.2:1 high gear ratio and 5 S ARB bearings, this thing is as smooth as it can get. The ball bearings are corrosive resistant, so you will never have to worry about replacing them. Coming in at a lightweight 7.4 ounces, this thing is super light. Don't let that fool you though, it can cast like nobody's business, even in the highest of winds! All these features combined allows you to control this baitcaster on every aspect, minimizing the risk for a backlash. It also comes in the LH version for all you left handed baitcaster folks. This is our first Daiwa baitcaster on the list and it's a good one too. 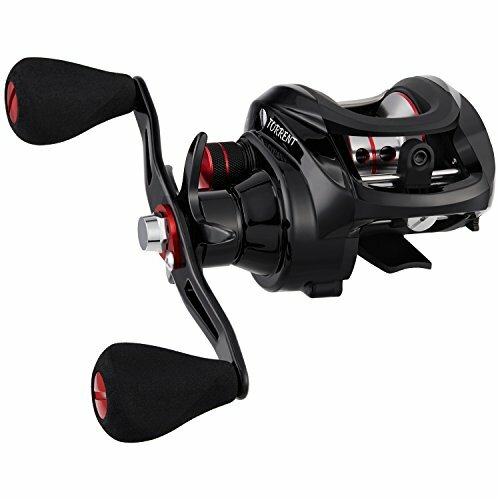 The Tatula comes in multiple gear ratios from 5.4:1 with the highest at 8.1:1 giving it a super smooth cast and reel. 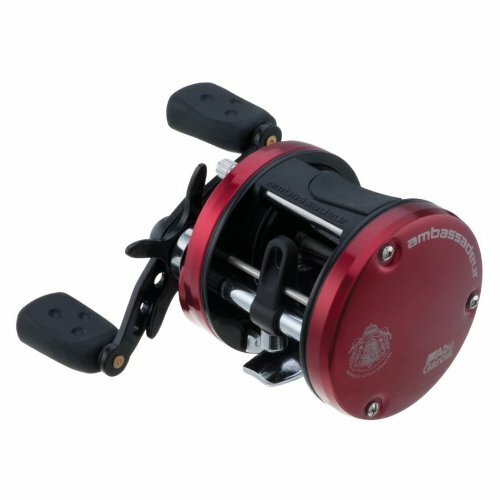 This reel is very popular and used by professional fisherman all over. It has a max drag of 13.2 lbs and a 8 + 1 ball bearing system for ultra smooth casting just like butter. The Tatula gives you maximum control to cast exactly where you need it. 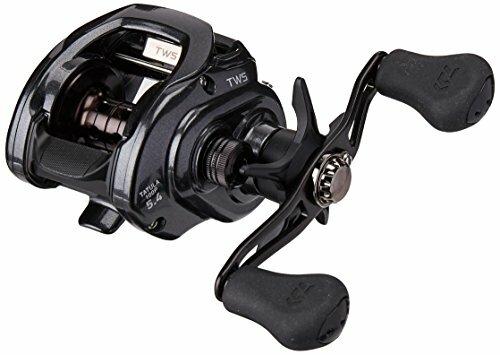 The T-Wing System casting has given this reel a leading edge over others in its class. The 90 mm cutout handles reduce the weight on this reel making it very light. If you don't buy the Revo or Curado, then I suggest the Tatula. They are all three great reels and you can't go wrong with either. Pair this with the Tatula casting rod and you have a very nice baitcasting setup. I wanted to include at least one round baitcasting reel on the list and of course I chose the Abu Garcia. Can you tell I'm an Abu Garcia fan? This round baitcaster comes in multiple models: 5500 and 6600. The differences are yardage and a 14 lb and 17 lb drag. Both models have a 5.3:1 gear ratio and 3 + 1 stainless steel ball bearings, giving this round reel one of the smoothest in its class. It also comes in both a left and right hand model. It is packed with performance with a very good price point. It is a bit heavier, but it also is a larger round reel and weighs 11.3oz. It is great for any type of fishing, but most use it as a catfish baitcasting reel. You can't go wrong with this reel. This is one of those brands of reels that you don't hear much about but continues to have solid ratings. I haven't used this reel myself, so I'm just stating the facts here. The high gear ratio of 7.1:1 is very enticing at the low entry price point for this reel. It has a high grade carbon drag system making it super lightweight and durable. The corrosion resistant ball bearings give this 5+1 system a good reason to give this reel a chance. It should be able to handle the water and last for years without replacing. A little bit heavier than most but not by much, its 8 oz, so you probably can not tell much difference. The 4.33 inch extended crank makes this sleek design stand out even more and gives you the ability to handle the load of a bigger fish easily. This reel sounds very promising and I would like to get my hands on one to try out. This might be the breakout baitcaster of 2018. To finish off this list, we're going to go with another popular reel called the Shimano Citica. This reel has been in production for years and has withstood the test of time. With a 7.2:1 high gear ratio and only 7.4 ounces, this is a really I would really like to recommend. It has a very nice line crank of 30 inches and 5 + 1 bearings. It is also available in 6.3:1 as well as right and left hand models. The price point is a bit higher, but also worth it. The Revo SX is probably the best on this list. I bought one and couldn’t be happier. It’s ergonomic and casts like it’s nobody’s business. Amazingly smooth and can reel in the big one if paired with a nice fat ugly stik. I’m with ya my man Corbin. I’m on a college fishing team in Arkansas and I have 4 of these reels with an Ugly Stik. Only reel I ever take out with me on tournaments. Glad to hear you both like the Revo SX. I personally use the Revo as my main with the Curado as my close second. I’ve reeled in a lot of bass with my Garcia reel and Vendetta rod. I wanted to follow up after we purchased the KastKing Royale Legend baitcaster since we got referred by your site. We purchased it on Amazon early May and have been using it out on the lake for a few weeks now. Keep in mind, this review is coming from a beginner baitcaster fisherman. I’m not a beginner fisherman, I’ve been fishing all my life with spinning reels. 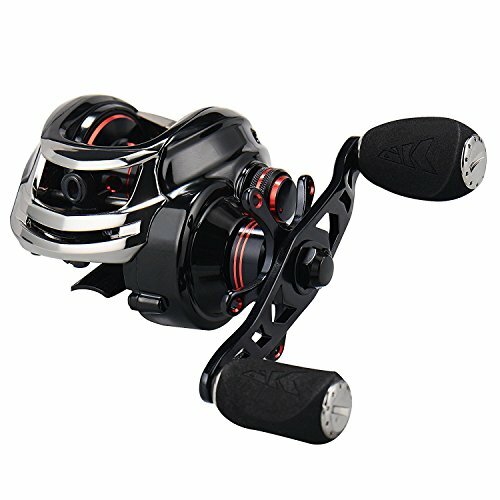 After seeing all the great reviews on the KastKing and saw the price was pretty comparable to the other reels, we decided to make the purchase online. We always read other reviews online before making a purchase. The reel is very lightweight and casts as smooth as a babys bottom. Some report that this reel feels cheaply made, but we do not feel this way. If you want cheaply made, then go to Walmart. We have caught so many bass (and catfish) on this reel that it’s not even funny. We have used many baitcasters in our days. The KastKing Royale Legend is a very smooth reel and the price is $40. It is a very lightweight reel. Need a baitcasting reel for my little girl. She’s 8 but loves to fish already. 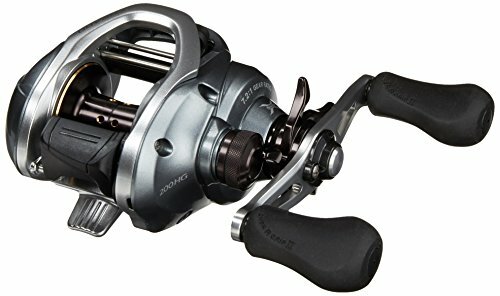 Hey fellas!….All my fishing life ive always used a spincast reel..Zebcos..Abu Garcias..etc…my fishing buddy has started using a baitcaster and raves about them..my questions are simple..are they easy to use and which would be the best starter reel for me a rookie? Hey Dan – they’re definitely easy to use. I’d recommend the KastKing Royale for your first baitcaster. Smooth as all get out. I have several of these reels. One I feel is an outstanding choice is the Piscifun Phantom Carbon. It’s excellent and only $70 on Amazon. Carbon fiber frame, dual brakes, and carbon fiber disk 18# drag. If you’re going to give this company a try, in my opinion, this is the one. My Revo SX is my favorite. I put the Phantom over the Tatula. The disk braking send to be more forgiving.